Voted #1 document shredding & Media Destruction service for New Hampshire since 2007. New Hampshire Area Residents and Businesses can now Drop-off their documents at our convenient location in Tewksbury MA and save $$! There are many situations when a Massachusetts and New Hampshire business or area residents may need immediate document destruction “yesterday.” Sometimes, due to high work volume and deadlines, office cleanup may not be managed perfectly or, perhaps a deadline for disposing of documents has to be pushed forward because of a move or an inspection. Whatever the reason, drop off document shredding service is your best and most common sense means to an end. Off-site Document shredding service for New Hampshire area Residents and Businesses is convenient because every customer is unique, and our trained document shredding specialists will offer suggestions as to what shredding service best fits your needs. We do offer pick up service for our New Hampshire clients who would like to save employee time and money from internal office paper shredding. We also offer a one-time paper shredding service also known as a “purge” service. This service is designed for clients who wish to destroy documents that have accumulated over a period of time. With every service, we provide a certificate of destruction. A certificate of destruction is your legal audit trail that shows an auditor that you are in complete compliance with all New Hampshire State and Federal Document Privacy laws. Learn More about our Off-Site shredding service. Our truck can transport your documents in our locked bins for maximum security. Our staff and drivers undergo rigorous criminal background checks and our facility is AAA certified by a National Security Agency. We spare no effort in securing your documents from the time we take custody to when they are recycled. Our One-Time Purge Drop-off or Off-Site Shredding Service is an ideal option when document shredding is needed only once a year, or even on a one-time basis. Many of our New Hampshire clients don’t have the capacity for regularly scheduled service so they periodically rely on our one-time “purge” shredding service to clear out their confidential files. A document purge is commonly done at the end of the year or business cycle, or after tax season. I never knew how hard it was to find a shredding company in Portsmouth until I decided to move and needed shredding for my household documents that cumulated over the years. Your company was recommended by Angieslist.com and your ratings were outstanding. Your shredding truck was on time and the quote was exactly what I saw on your website, Big thanks for making my clean up smooth. I loved your store when I dropped off my documents, Hanson was super nice and helped me offload my SUV, my documents were left in your secure bins and the shredding certificate arrived in the mail in 3 days. Best part was that I can now afford new shoes with all the savings! Ever wonder how much would document shredding service cost in your New Hampshire Neighborhood? 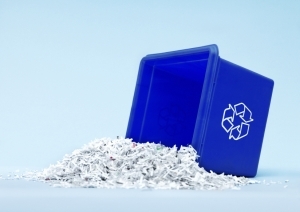 Document shredding service industry has evolved over the year, personal shredders are a thing of the past! Take a brief moment to learn about our shredding services and how affordable they can be. With rates as low as 89¢ /Lbs, you can no longer justify spending the afternoons in front of your shredder! "I used your company last month and I am so happy with the service. Driver was on time, the rate was exactly what I was quoted"
error: Content is protected by U.S Copyright Law ! !